President Donald Trump’s administration will soon build a tent city near the United States-Mexico border close to El Paso, Texas, that will house hundreds of young border crossers. Officials with the Department of Health and Human Services (HHS) confirmed to NBC News that a tent city will be constructed in Tornillo, Texas, to give shelter to about 450 unaccompanied and accompanied minors who crossed the U.S.-Mexico border. 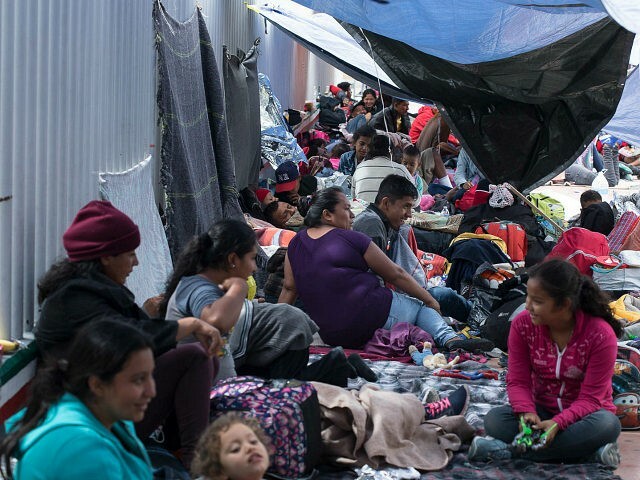 For months, Breitbart News and immigration experts have noted that Trump’s Department of Homeland Security (DHS) could deal with the ongoing illegal immigration surge at the border by having deployed troops build tent cities on the border. The Trump administration’s policy is to prosecute all border crossers, including illegal alien parents who cross the border with their children or someone else’s children. This policy results in border-crossing parents having their children taken into federal custody. The establishment media has consistently falsely reported that the Trump administration’s official policy is to separate migrant children from their border-crossing parents. This falsehood resulted in multiple retractions from the New York Times, USA Today, the Washington Post, and the Seattle Times. Department of Homeland Security (DHS) Secretary Kirstjen Nielsen could also initiate the construction of tent cities along the border — which military troops could build — in order to temporarily end the “Catch and Release” loophole that releases illegal aliens into the U.S. while they await their immigration hearings. As Breitbart News reported, unaccompanied minors cost American taxpayers $1.4 billion last year and less than four percent have been deported from the U.S. In Fiscal Year 2018, more than 13,000 unaccompanied minors have been resettled across the country, Breitbart News noted.